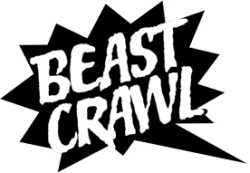 The Beast Crawl is split into four separate legs with multiple reading events happening during the first three legs. We give you a half hour between each leg to get from one venue to the next, but considering the large number of simultaneous activities, make sure you plan your route ahead of time! Check out the Venues page to map your route and see which establishments offer services that you'll need throughout the night, like snacks, booze (or debauchery), or good ol' family friendliness. You can find detailed information about each event linked on the Events page. If you want to keep up on the latest news, check out our Tumblr blog, or connect with us on Facebook, Twitter, or Google Plus. Looking for a specific event or reader?